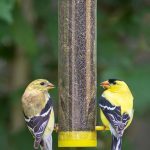 If there’s anything a nature lover likes to see more than pretty birds hanging on their bird feeders, it’s MORE of them. Here’s an interesting phenomenon we’ve noticed over our years in the bird biz: it’s rare to find a bird person with only one bird feeder in their yard, unless it’s their first one. 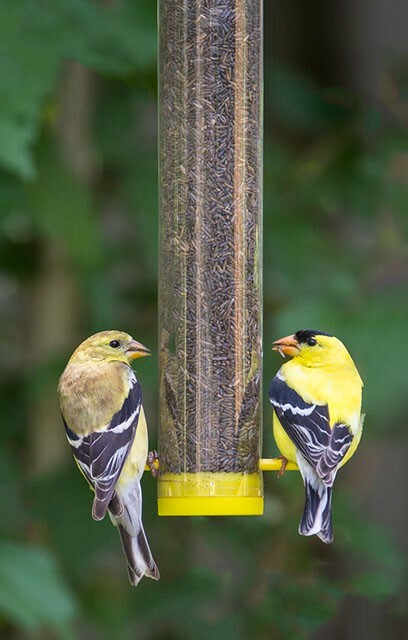 After they hang their Inaugural Feeder, the average bird watcher wants more; and we give it to you. 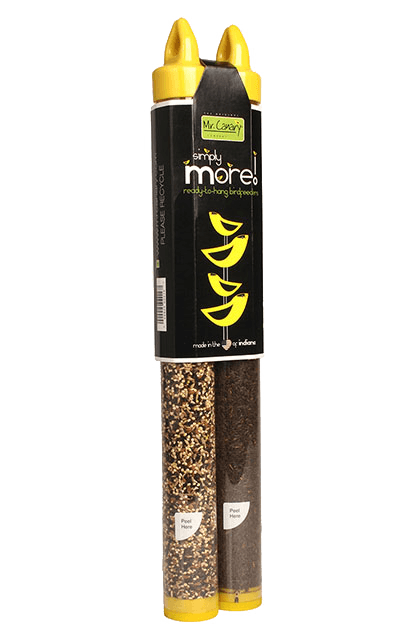 The Mr. Canary® Simply MORE 2PK gives you more convenience, more value, more birds, more fun. Simply, MORE. 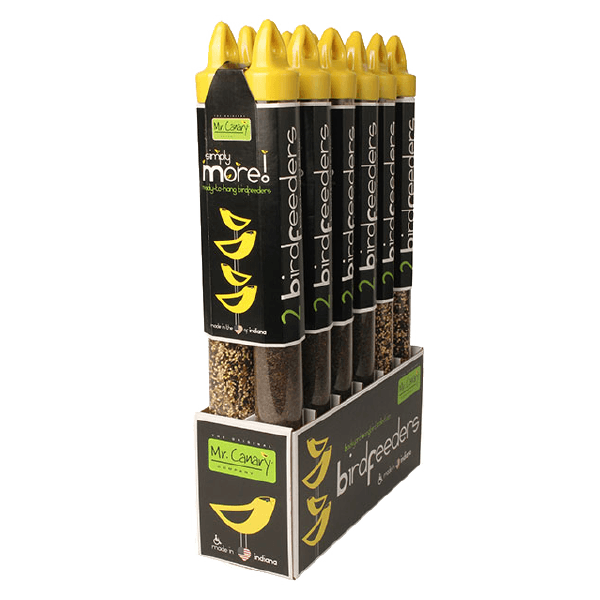 Every Mr. Canary® Simply More Variety pack contains TWO complete, ready-to-hang bird feeders, each filled with a half pound of seed. 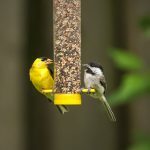 You can hang both feeders at the same time to see birds in different parts of your yard; clump them together to assemble a village of birds; hang one now, save the other till later; or hang some and share some with your friends. Packaged as they are they make an adorable and unique gift for any bird enthusiast or for someone who might become one. The ease and convenience of these feeders make them the perfect gift for seasoned birders as well as the novice. However you choose to use, the Mr. Canary® Simply More 2Pac gives you simply more of what you want. How delicious. 6- 8 oz. Fancy Mix, featuring .5 lb. 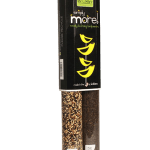 of Premium Nyjer®, white millet, red millet, sunflower chips, canola seed and canary seed. Here’s a short review of this product. If there’s anything a nature lover likes to see more than pretty birds hanging on their bird feeders, it’s MORE of them. Here’s an interesting phenomenon we’ve noticed over our years in the bird biz: it’s rare to find a bird person with only one bird feeder in their yard, unless it’s their first one. 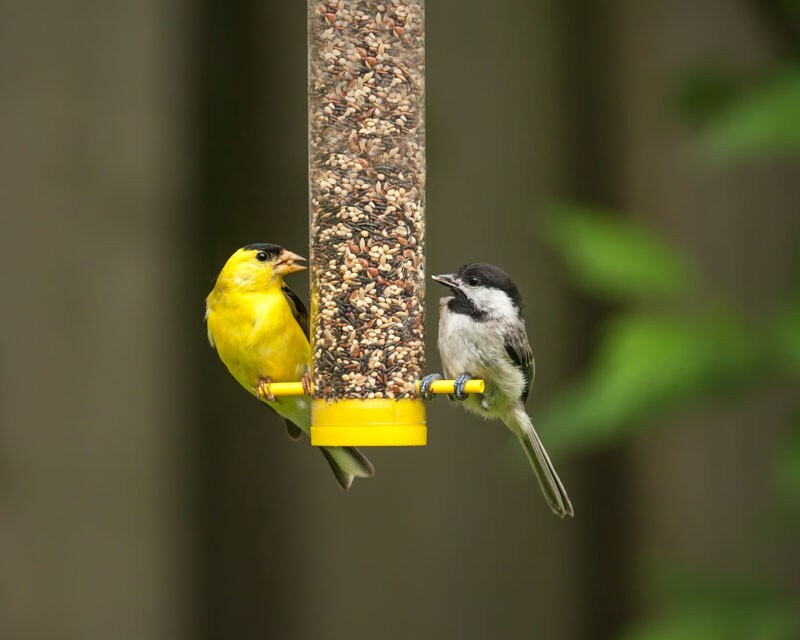 After they hang their Inaugural Feeder, the average bird watcher wants more; and we give it to you. The Mr. Canary® Simply MORE 2Pac gives you more convenience, more value, more birds, more fun. Simply, MORE.